Today I have a guest blog post by fellow chick-lit writer and best-selling author Kristin Billerbeck! 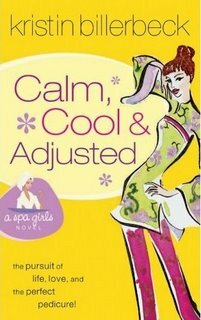 Kristin's latest novel is Calm, Cool and Adjusted, book 3 of the Spa Girls collection. 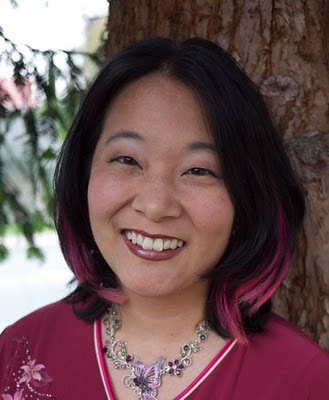 Silicon Valley chiropractor Poppy Clayton is as calm, cool and adjusted as they come . . . or is she? Known for her bad fashion sense, a love for all things natural and the inability to get a second date, Poppy is beginning to wonder if she might be misalignd herself. Especially since her best friends, Lilly and Morgan, seem to think so. After all, a “normal” woman doesn’t evaluate prospective dates on their liver function and their spiritual balance, does she? I wrote a review of this book here. Have you ever read a book where everyone is RAVING about it, and you just don't get it? And you pick it up again and again, knowing it's GOT TO BE HERE! If I just dig a little deeper, I'll see it. I'll see what everyone is raving about. So you pick it up again, you use your little book light an you're determined tonight is the night -- or even more trapping, you go into the bathtub, with that book as your only reading material. But you pick it up and once again, you're a failure. You don't get it. Now there are two things I do with this emotion. When I'm feeling confident, I decide I think these people are all discussing this book to sound intelligent, but they don't get it either! It's a ruse to make me feel stupid. On a bad day, I pick it up and I think, Lord, it's word salad, what is the point of this? And why am I so stupid that I don't get it?? Most days, it's somewhere in between, and I think, you know, I've got enough to worry about in my life, I need this pressure why? And I move onto the next book. The one thing that stops me cold is when there is no emotional connection to the protagonist. Yes, I'm supposed to care, but I totally don't. People have different life experiences, some interest me, some don't. When I feel like a work of fiction is a set-up for the lecture at the end, I cannot get through that. Whether the lecture is about global warming or coming to Jesus, if I wanted a sermon I'd read my Bible or turn on CNN. So if you're struggling to get through a book, toss it aside and pick up something else. Life is too short to waste time reading something deemed "important" by someone else You know, right now "Ugly Betty" and "Gray's Anatomy" are important to me. Shakespeare, I'm not. Camy here: Thanks, Kristin! I’m partial to “Heroes” right now, myself. And I have no problems tossing an uninteresting book. I tossed 3 of them last week, I think. I am unashamed to admit I love fluff, which is why I write it. Let those intellectuals scorn me! I thumb my Asian chick-lit nose at them. 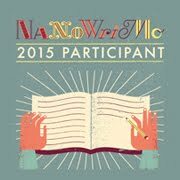 Writing: I posted another article on developing your writer’s voice at my Story Sensei blog. I also posted another installment of my Health and the Writer column at WriterQuotes blog.